We offer services, social programs and family-oriented activities to experience the holidays together. 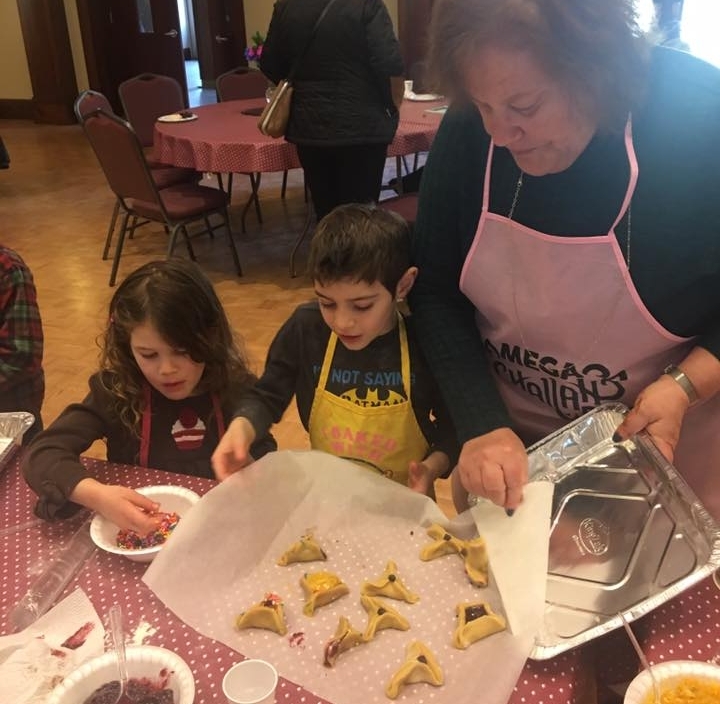 Dining in our community Sukkah, Lots of Latkes Hannukah dinner, Purim carnival, Tu B’Shvat Seder, Matzah Brei on the porch outing, Hamentaschen Baking for Purim, Women’s Seder for Passover, and Tikkun Leil Shavuot are just a few examples of how we celebrate the holidays beyond organized prayer services. CSI Nyack celebrates Hannukah every year with our Lots of Latkes holiday party. We had created our own menorahs, danced Isreali dances, ate lots of latkes and had an amazing start to our Hannukah. We even braved the cold and lit the menorah together.